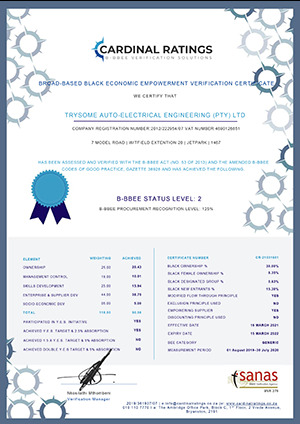 Trysome conforms to Broad-Based Black Economic Empowerment (BBBEE) guidelines regarding recruitment.Trysome’s growth has been underpinned by its BBBEE Code of Good Practice with employment opportunities for previously disadvantaged groups being its top priority. Trysome also follows BBBEE guidelines for procurement and sourcing, which it sees as a business imperative, essential for the success of business and the continued growth of the South African economy. 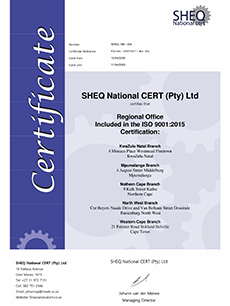 Trysome has achieved the highest level of excellence by being awarded the ISO9001:2015 accreditation.